OPI Nail Polish, Clubbing Til Sunrise, NLB82, .50 fl. oz. 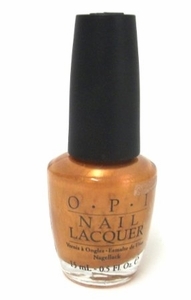 Warm orange nail color with golden shimmer.